Foreshadowing, an exhibit of botanical portraits in a surprising medium, is on display at Matthaei Botanical Gardens. Created by Michigan artist and photographer Jane Kramer, the works illuminate native and invasive plant species in a different light. Kramer spent weeks exploring Michigan’s nature preserves and botanical gardens, including Matthaei, taking pictures of the shadows cast by native plant species. 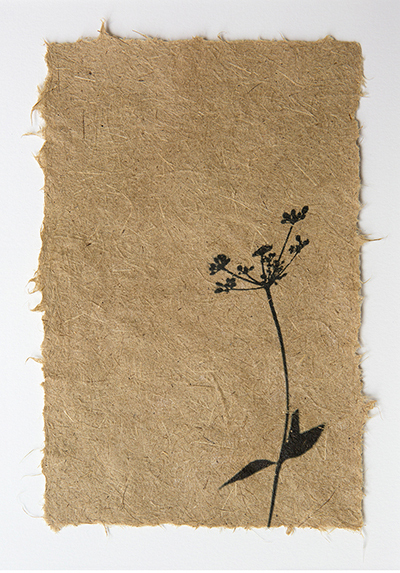 The shadow images were then transferred to handmade paper created from invasive plant species. For Kramer the shadows speak to the fragility of threatened plants and their struggle to survive in a changing environment that includes invasive species. The coupling of shadow and paper underscores the complex relationship between invasive and endangered plant species. For Kramer the artistic process of capturing the shadows and laying them down on paper was a learning experience. The process itself was arduous and tricky and reminded her of the struggle that native species experience as nonnative or invasive species compete with them for resources. Read an interview with Jane Kramer below. 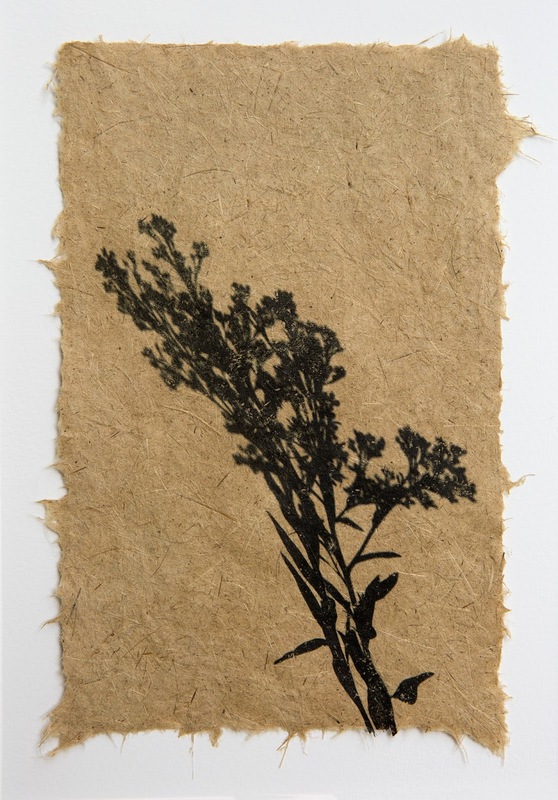 Matthaei-Nichols: What inspired your original idea: photographing the shadows of native plants and then transferring those images onto handmade paper? The process is so multi-layered. Did the idea come to you all at once or in stages? 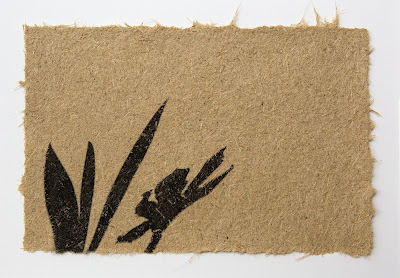 MN: You’ve written that the shadow of the native plant laid down on the paper made from invasive plants represents a struggle in our ecosystems between native plants and invasive species. Can you expand on that? JK: I knew the process would be labor-intensive and challenging and require a lot of research. I hadn't found anyone who was printing photographic images on homemade paper, and even when I figured out how it could be done, it wasn't easy to do. One day when none of my transfers were working, I realized that my difficulty in putting these plants together in a print was reflective of their relationship in nature. I laughed at the irony, but also found it to be extremely frustrating. Most of the time, I can't get the ink of the endangered plant to transfer properly and the invasive paper wins. And even when the image transfers, it's transparent with the invasive paper fibers showing through. I like how this looks, but it's difficult to accomplish and completely unpredictable. As an artist and not a scientist, it has actually made me wonder why we are trying so hard to rid our natural areas of invasive plants when some are so clearly dominant. Should we try? Can we succeed? I've met so many interesting and knowledgeable people over the course of working on this project, and they all have different answers to these questions. That has been the biggest eye-opener for me. It's left me with the intent to do what I can to preserve our local ecosystems while also keeping an open mind. MN: Did you experience other “aha” or learning moments about plants, the environment, or invasive species while working on Foreshadowing? JK: I knew what invasive species were, of course, but I really had no idea how many there were, how abundant they were and what harm they can cause to the environment and to our economy. It was fascinating to learn that there were four species growing right in my neighborhood! I'm starting to see my surroundings in an entirely new light. Whenever I'm out driving now, I find myself scanning the roadsides for invasive species. I also wasn't aware that so many of the species available at plant stores aren't the ones we should be planting. I had assumed they wouldn't be selling them if they were harmful to the local ecosystem. It has reminded me yet again that I have to be a conscious shopper when it comes to the products I buy for my home—and garden! It was also interesting to learn that the locations of some endangered and threatened plant species communities are kept secret because of the fear of people taking the plants or their seeds. MN: What can Foreshadowing help our visitors and members---many of whom are passionate about plants---understand? JK: For me, it's the images of the endangered and threatened plant species that have the most important story to tell. Some of these plants are nearing extinction in Michigan and once they are gone, they are just that—gone. I'm hoping that people will feel this connection and be compelled to take action, no matter how small, in preserving Michigan's ecosystems—and not just for the plants, but for all the animals, insects, etc. that rely on them.